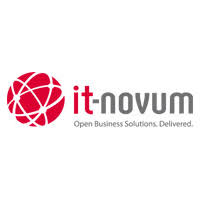 it-novum is the leading IT consultancy for Business Open Source in the German-speaking market. Founded in 2001 out of the IT department of the KAP Beteiligungs-AG, it-novum today is a subsidiary of the publicly-held KAP Beteiligungs-AG. We operate with 75 employees from our main office in Fulda and branch offices in Berlin, Dortmund and Vienna to serve large SME enterprises as well as big companies in the German-speaking markets.